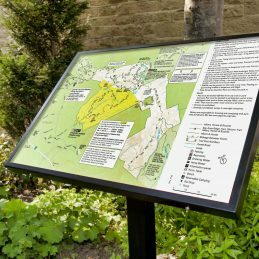 Noticeboards Online has a great range of interpretation boards ideal for parks, wildlife areas, estates and places of interest. We are a full service company and can supply the design, construction, delivery and even fully insured nation-wide installation. 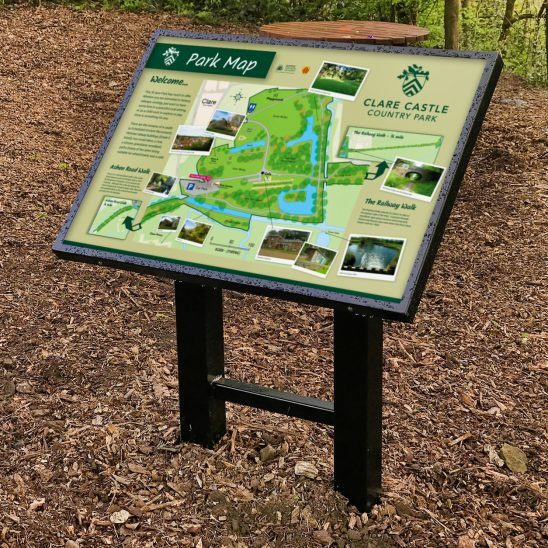 We have installed interpretation boards up and down the country in various locations including wildlife parks, places of special interest, footpaths and walking areas. 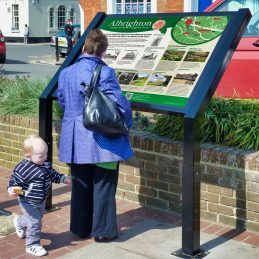 The boards are available in many standard sizes and bespoke sizes are made upon request. 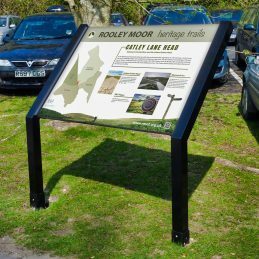 The majority of our interpretation panels are now mounted in an angled lectern frame. This popular design allows people of all ages to easily read the information. 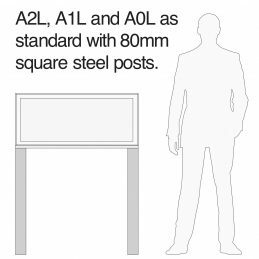 As standard, our lecterns are constructed using premium 3mm aluminium, and we can create bespoke products if you are looking for something different. The premium foot plates and legs allows secure fitting into the ground or concrete which will eliminate rocking or become unstable. 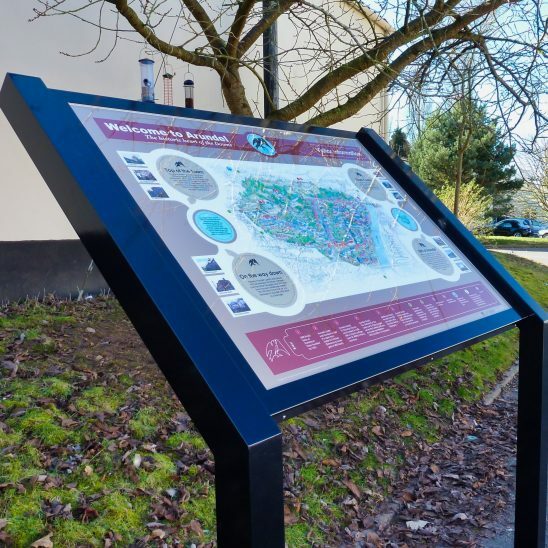 Call us today on 01539 628309 or email info@noticeboard.company about this or any other product in our range.